Said the Maiden: Jim Moray, and the Tour Looms! Jim Moray, and the Tour Looms! 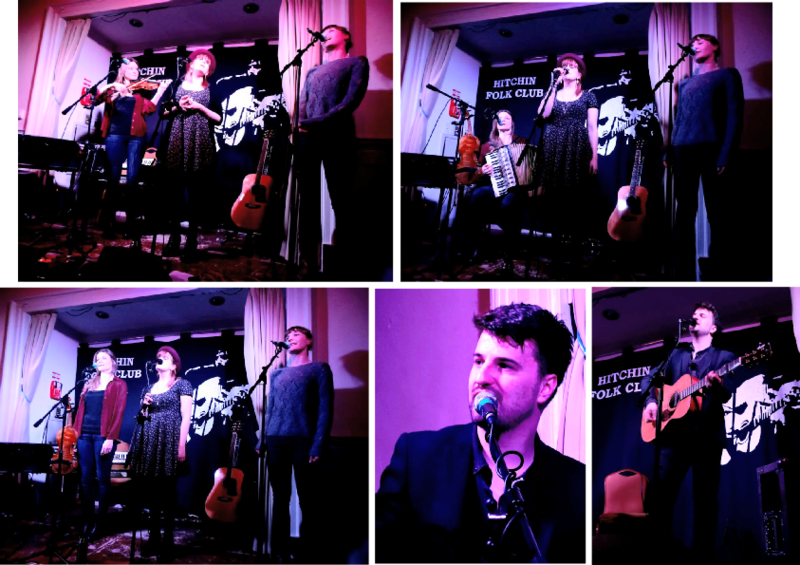 After playing a headline set at Baldock, with 1 girl down due to flu, we were slightly anxious about how we'd get on in Hitchin, opening for Jim Moray. But what an evening it was! Jess' voice just about held up, and the audience seemed to really enjoy it! It's such a lovely club! It was our first time there, and we'll certainly be back again, to watch, and hopefully to perform again. Jim's set was fab as always, and all in all it was a brilliant evening! We made a few more new fans, so WELCOME NEW FANS! And thank you for joining us on our exciting adventure! We sold loads of CDs too, so thank you, again.